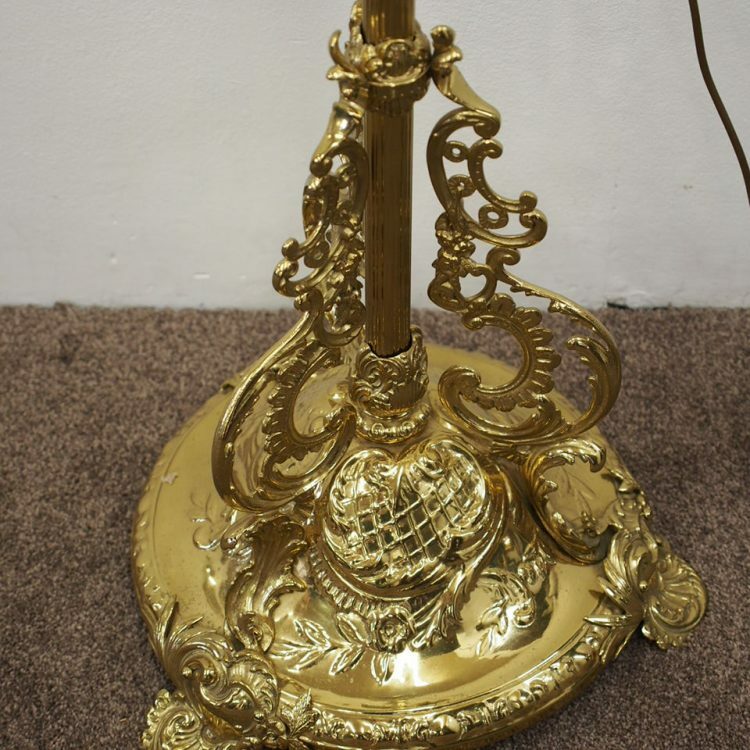 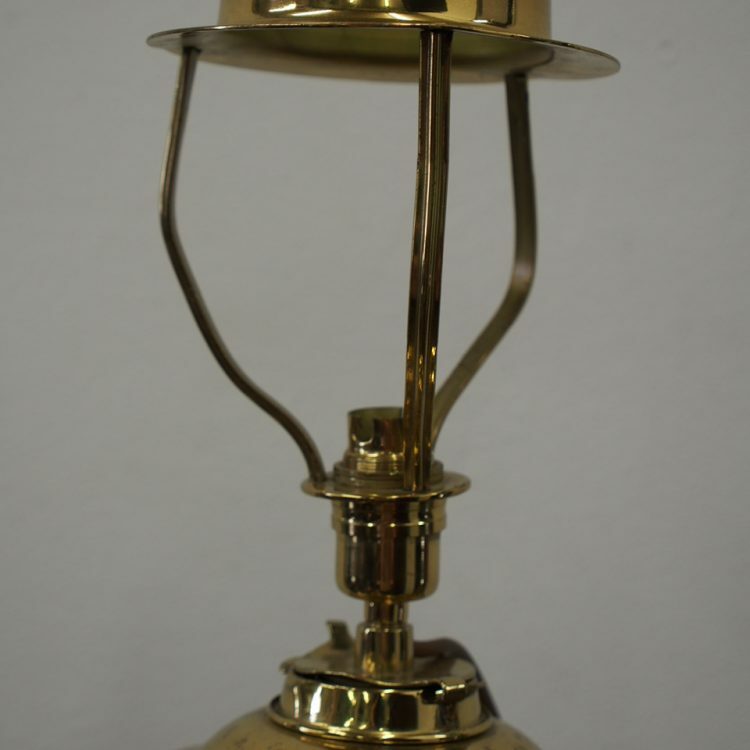 Circa 1870, Victorian brass oil lamp converted to electricity. 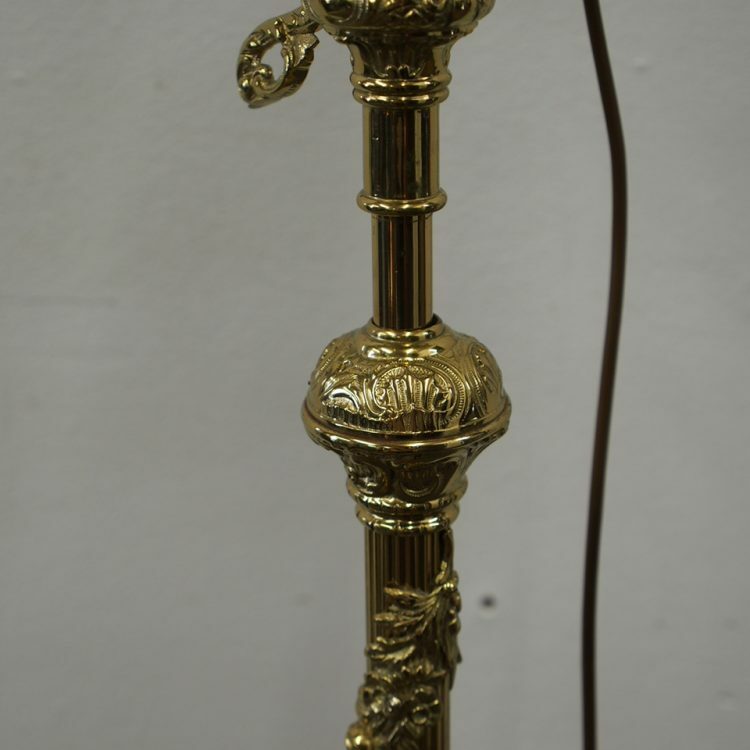 The reservoir sits in a cradle of swags and tails on 3 shaped brackets, leading on to a fluted column with foliate casting. 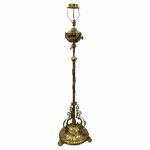 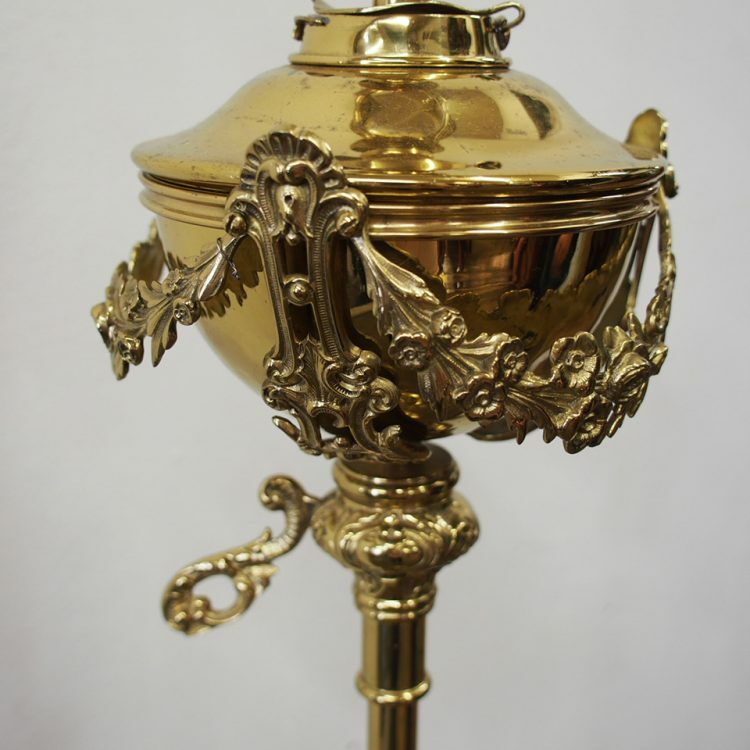 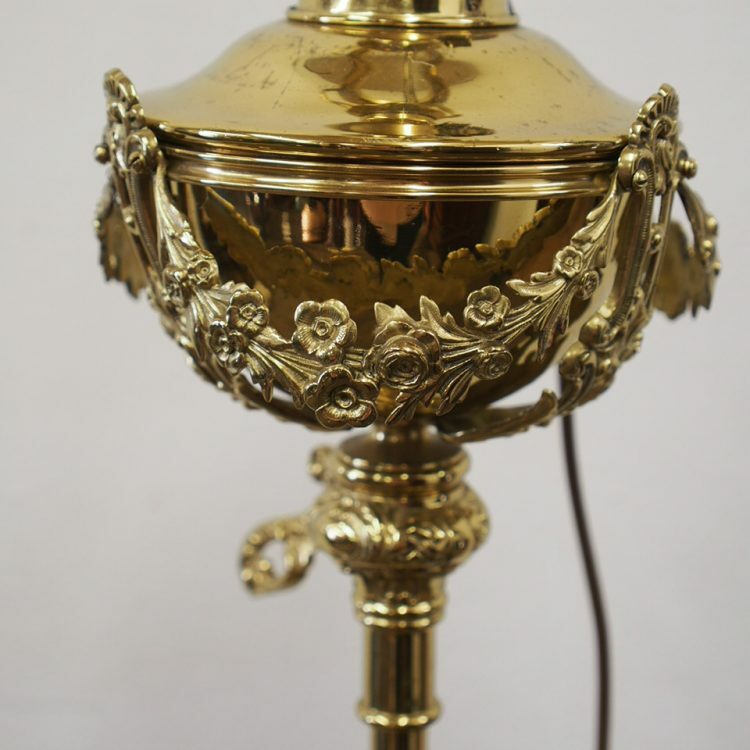 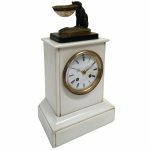 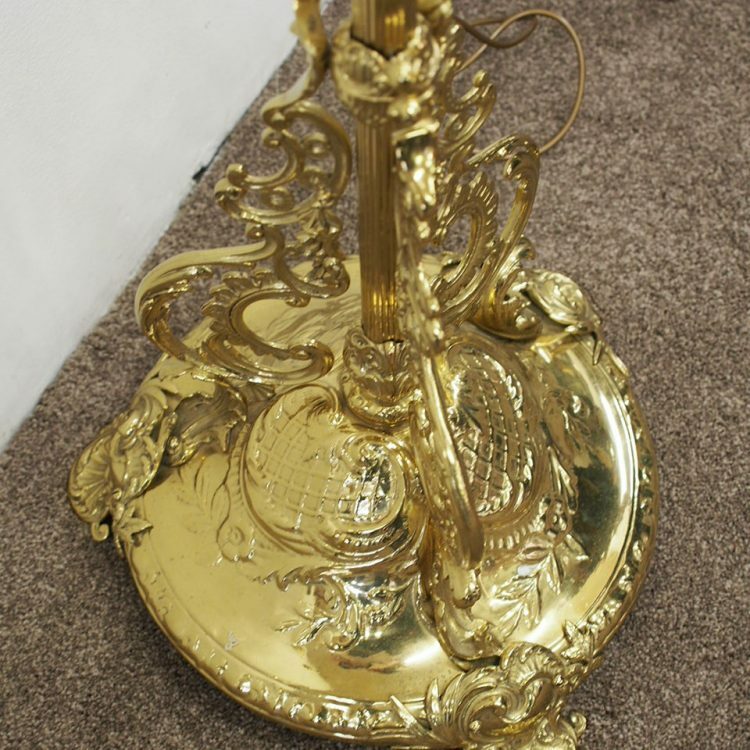 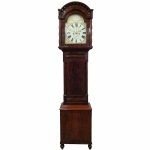 There is a central telescopic arm and the base is domed and embossed with floral patterns. 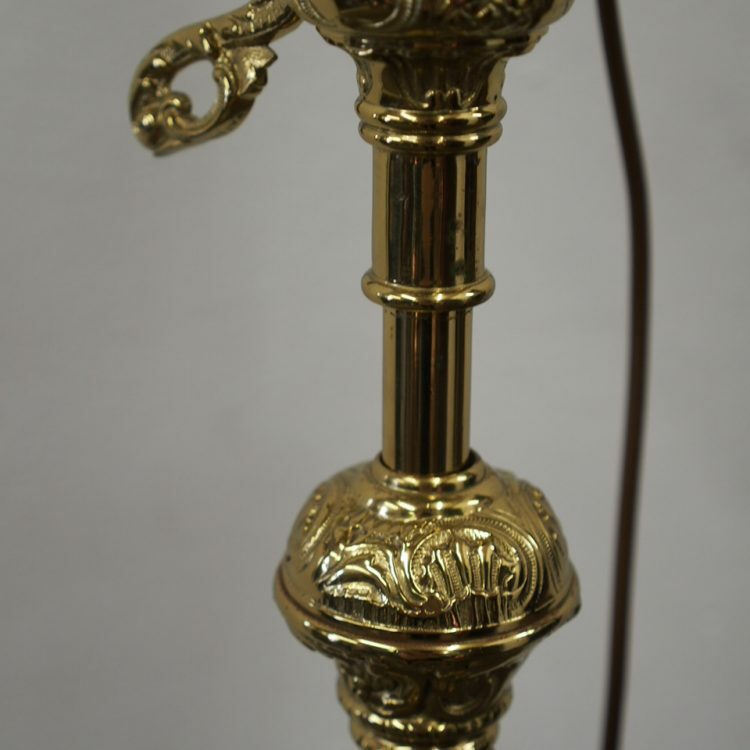 All on Rococo cast brass feet.